You are the experts in these services. You have lived and experienced them and you are in the best position to know what works, what doesn’t and what improvements need to be made. 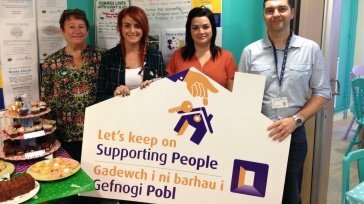 If you are using housing related support services in Gwent then we want to know what you think of them and how you think they could be improved. 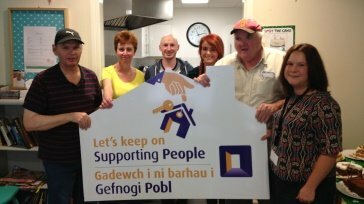 Supporting People is a Welsh Government funded programme that provides housing related support for vulnerable people. The programme aims to support people to maximise, maintain and sustain their independence through the provision of a range of innovative services and projects. 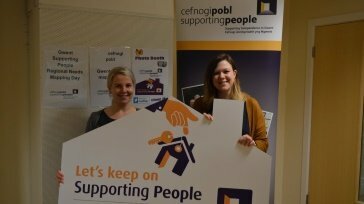 Gwent Supporting People teams encourage involvement from people who are receiving or have received a support service. This can range from something as simple as following us on Twitter and keeping up to date with our news and events to helping your support provider recruit and train new staff. Supporting People teams are based in your local council. Supporting People funds a wide range of services for people.